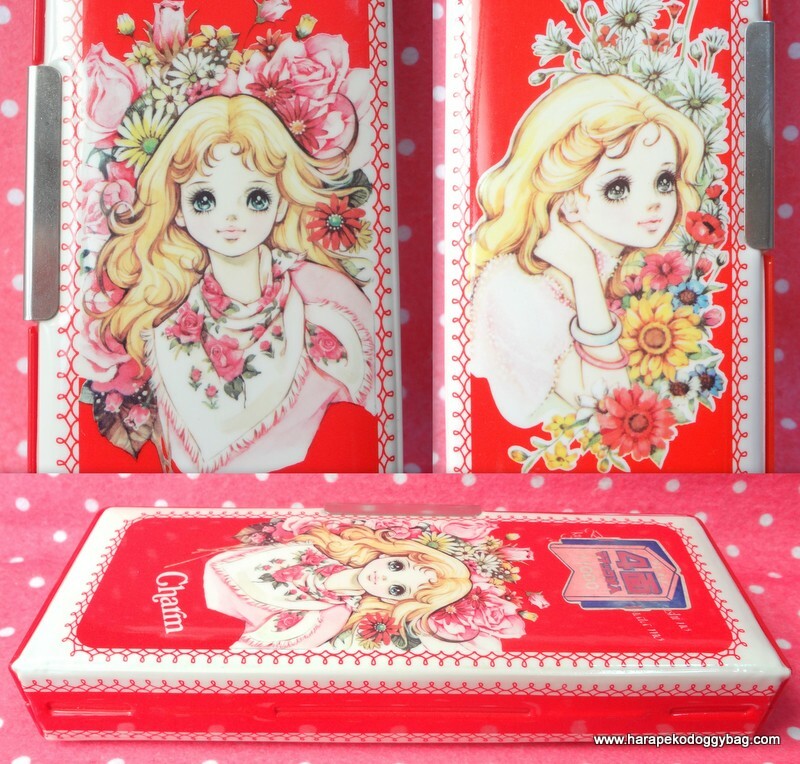 vintage, japanese stationery, retro, pencil case, stationery, shoujo, seventies, girl, girly, kawaii, cute. Home > Japanese Fancy Goods : Retro & Vintage > Vintage 1970s : Retro Girl Pencil Case : Yukiko Tani Illustration "Rose Scarf"
This is a rare vintage girl's pencil case. The pencil case type is a 2-door with a magnet closing device on each side to fasten the pencil case "door". There are 2 "doors" on each side and the pencil case opens up in the middle to 2 compartments. The item is in new and unused condition. The whole inner compartment has separated from the cover because the glue has become old. Also, there is wear on the covers such as dents marks and scratches. One side has 2 circle dent marks on the cover. There is yellowing and aging in the inside of the case. This item will be shipped in a thick cardboard box. 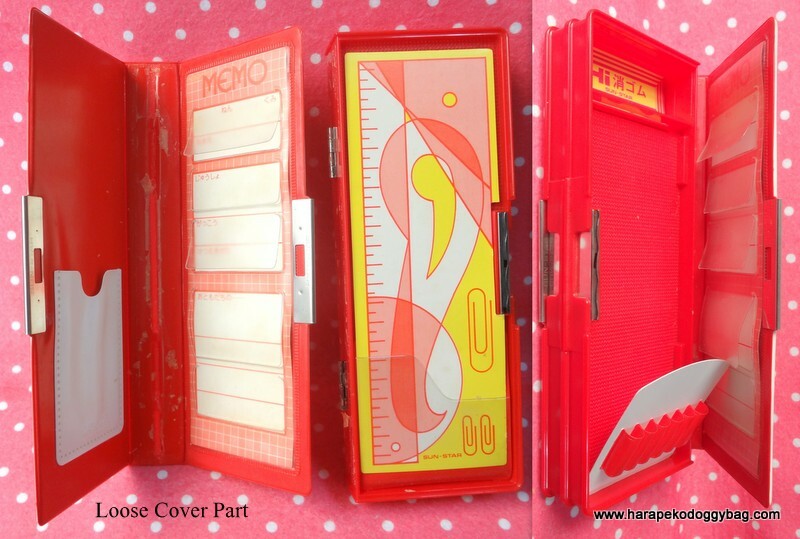 Keywords: vintage, japanese stationery, retro, pencil case, stationery, shoujo, seventies, girl, girly, kawaii, cute.